International Women’s Day (IWD) is observed worldwide on March 8 annually. It is a day where achievements made by women are given due recognition, regardless of what field excellence has been attained. 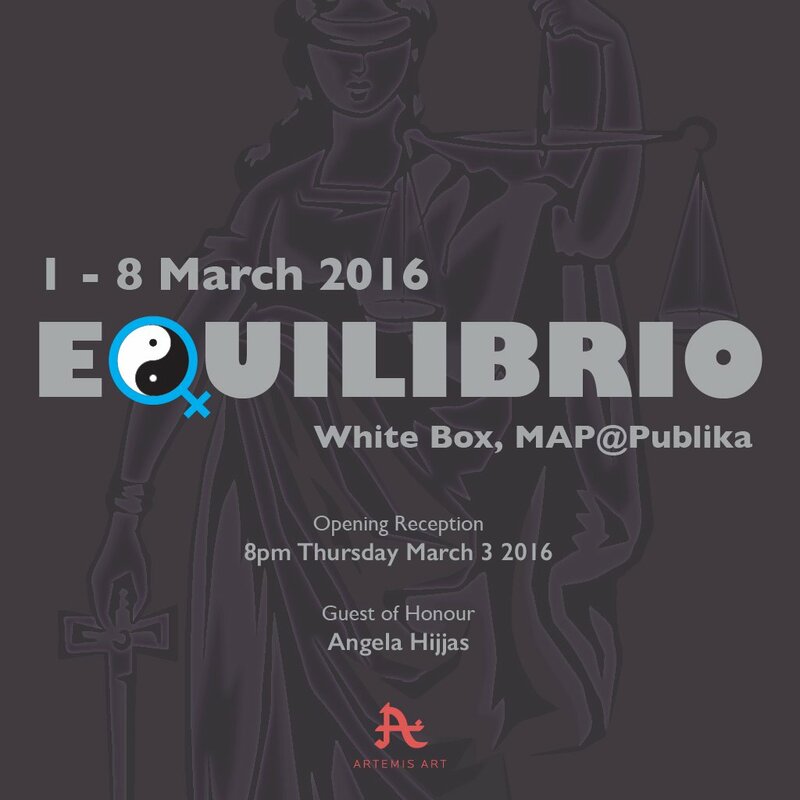 In conjunction with this year’s IWD, Artemis Art has put together an exhibition by 22 women artists, from Malaysia and selected countries around the world, showcasing their talents in a group effort entitled Equilibrio. The choice of Equilibrio (Spanish for ‘balance’) as a theme is aimed at underscoring women’s struggles in keeping balance between career and personal life, juggling the many roles society demands of them. It is our hope that this broad theme provides ample breadth to enable the participating artists to express themselves freely through the various forms of visual arts. Equilibrio the first in what has been targeted to be an annual visual art event by Artemis Art focused on women artists to be held around IWD, as an effort to recognize and celebrate the role of women, particularly their importance in the world of the arts, which has been, more often than not, neglected and under-represented. Equilibrio is scheduled to begin on Tuesday, March 1, 2016 and continues for a,, week until March 8, 2016. The opening reception is schedule for 8pm on Thursday, March 3 2016, and we are delighted to announce that the guest of honor for the evening shall be Angela Hijjas, well known within the arts community for her work at Rimbun Dahan. To date hundreds of artists have enjoyed working at Rimbun Dahan. A significant collection of works from these artists, and all made while at Rimbun Dahan, is on display at the Rimbun Dahan gallery for visitors. As well as the residency, the 14 acre garden is the only one in the world that is landscaped with indigenous SE Asian species. There are also two heritage houses, from Penang and Perak, at Rimbun Dahan, that are used for education and to accommodate residents.